Just like humans, you have to pay attention to your adult dog’s health who would be entering the senior stage soon. These precautions will ensure that your fur baby remains happy and healthy through their senior stage. Regular moderate exercise helps to maintain muscle mass and keep your senior pet’s joints mobile. They may not be as quick at fetch but taking them on a suitably-paced walk or jog will keep them happy, healthy, and fighting fit. 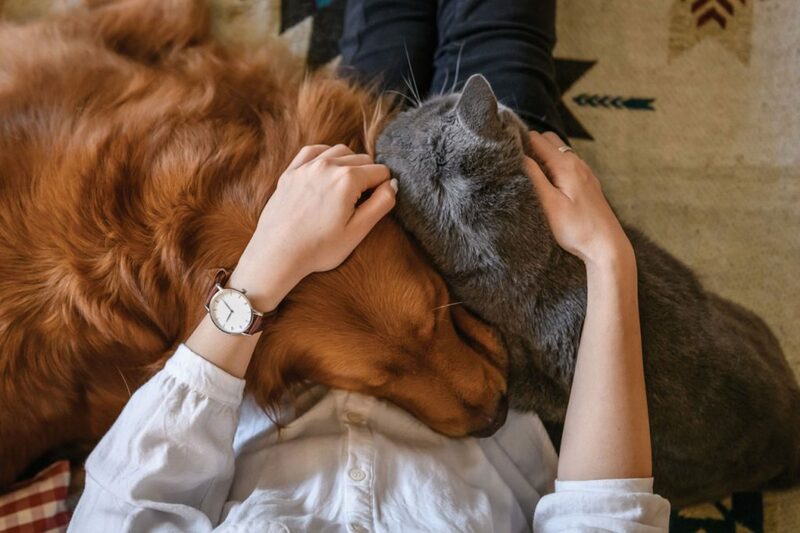 Keeping a keen eye on your senior pet for any lumps and bumps will ensure that possible cancers or tumours are treated as swiftly as possible. Cancer is more prevalent in ageing dogs, so ensure you monitor any changes in your pet and contact your local Greencross clinic when you notice lumps forming Talk to your local Greencross Vets to learn what tests to be taken to ensure your dog is healthy. 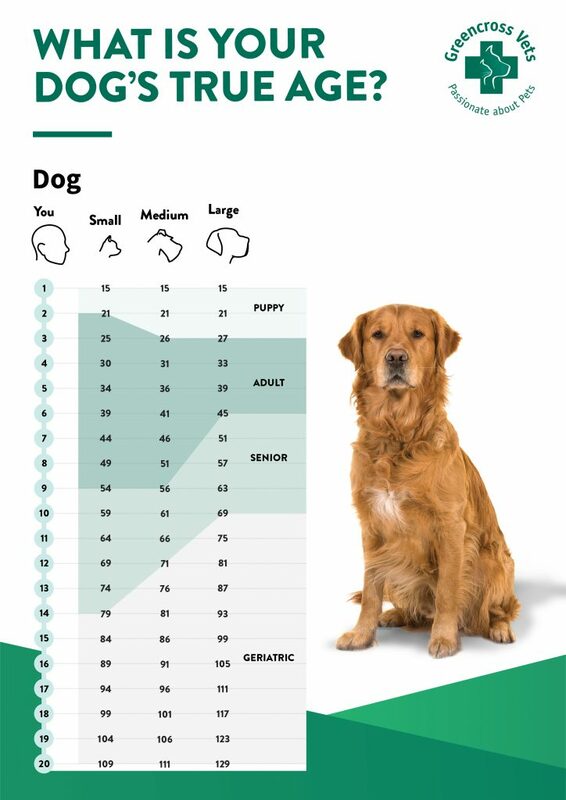 As our dog’s age they develop a decrease in energy levels, so it is important that they are eating a complete and balanced diet that is lower in calories but still has adequate protein and fat to maintain a healthy body weight and reduce the chance of becoming overweight. Talk to your local Greencross Vets to have a tailored diet plan for your dog. As animals age, their health status changes faster than their younger counterparts. Issues common in senior pets include arthritis, heart disease, cataracts, organ failure, hearing or vision loss, and tumours. 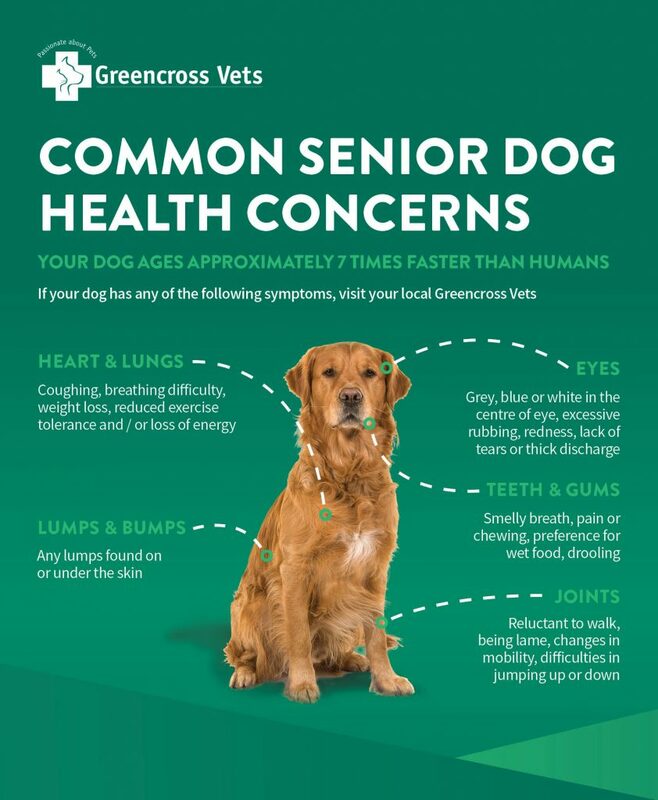 More frequent health checks with your Greencross Vet will detect any issues early on, so your senior pet can live as long and happily as possible. Vaccinations can protect your pet from several illness and diseases. Maintaining your pet’s vaccination program will help to ensure that your dog stays safe and continues to be protected.